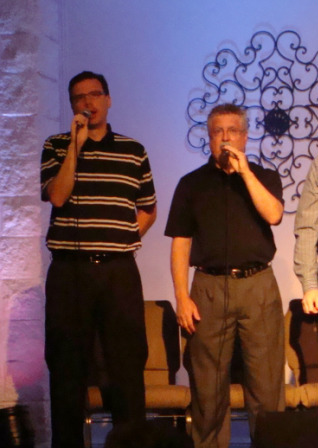 LifeSong, the worship ministry of the CrossBridge church, includes the worship leaders, praise team, media ministry, and a fellowship of Christians who love to make a "joyful noise" unto the Lord. Through a mixture of beloved old and exciting new songs and hymns, LifeSong leads the song and praise portion of our Sunday morning worship service. If you are interested in singing with LifeSong, please contact Melinda or Carol. Follow LifeSong on Twitter at www.twitter.com/LifeSong_Praise.